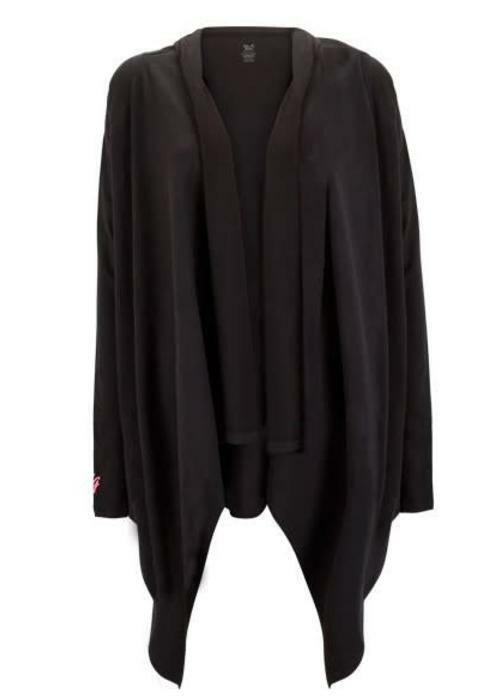 This comfy sweater has a boxy, drapey fit around the upper body, cropped sleeves, and a pocket in the front. Made from a soft and sustainable mix with hemp, the Cozy Up Pullover is perfect to wear as a cover up during meditation or savasana. 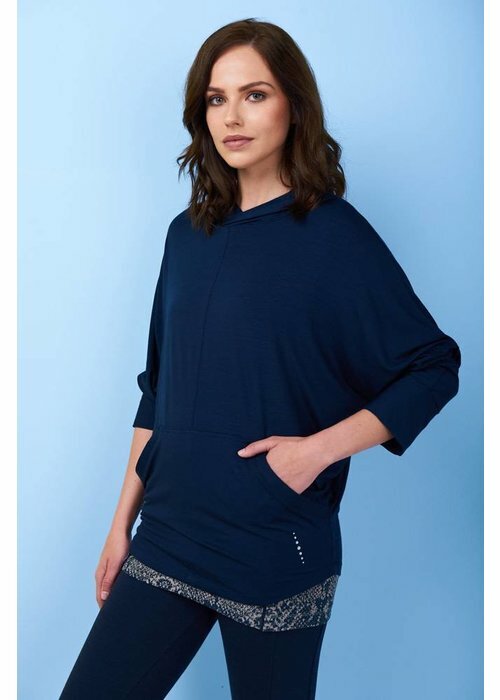 This comfortable, slouchy hoody is made with super soft bamboo. Designed with dropped shoulders, flatlock stitched seams, wide cuffs and a large patch pocket at the front. 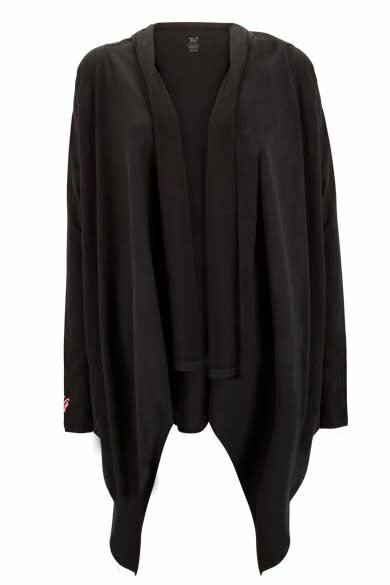 An Asquith classic: a versatile, flattering and comfortable wraparound cardigan that offers three great looks: tied at the front, loose at the sides or tied around the back. 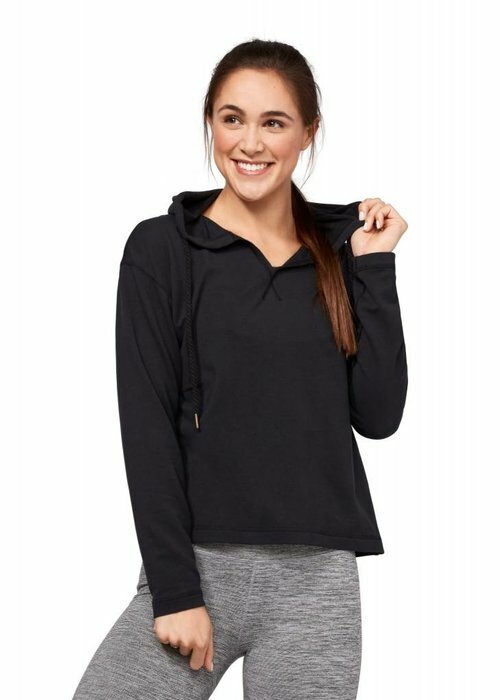 A lovely comfy hoodie that you can easily throw on over any outfit to keep you warm before and after class, or during meditation. 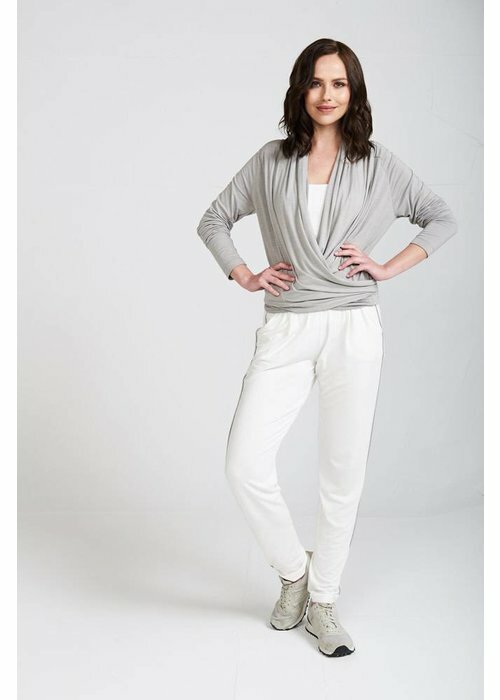 Made from a blend of soft and breathable organic cotton and modal. This classic striped hoodie has a relaxed fit with dropped shoulders and small slits at the sides. The fine knitted texture keeps you nice and warm, feels extremely soft on the skin, and gives the hoodie a laid-back look. 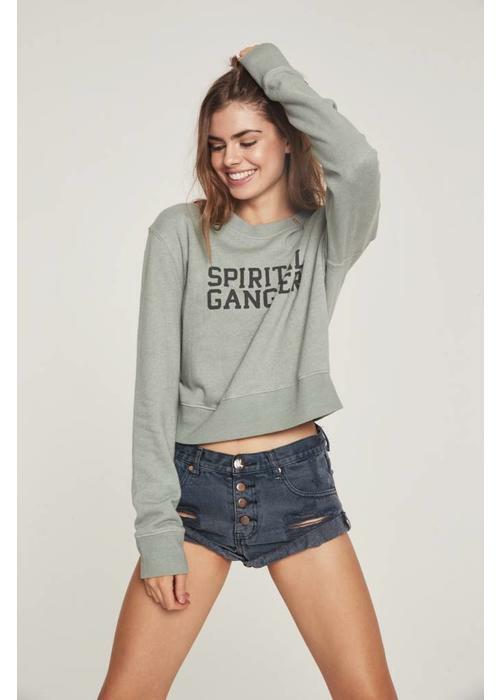 Stay warm in the Spiritual Gangster Varsity Rasta Crop Sweatshirt featuring a wide rib neckline with stitched stripes and boxy fit. 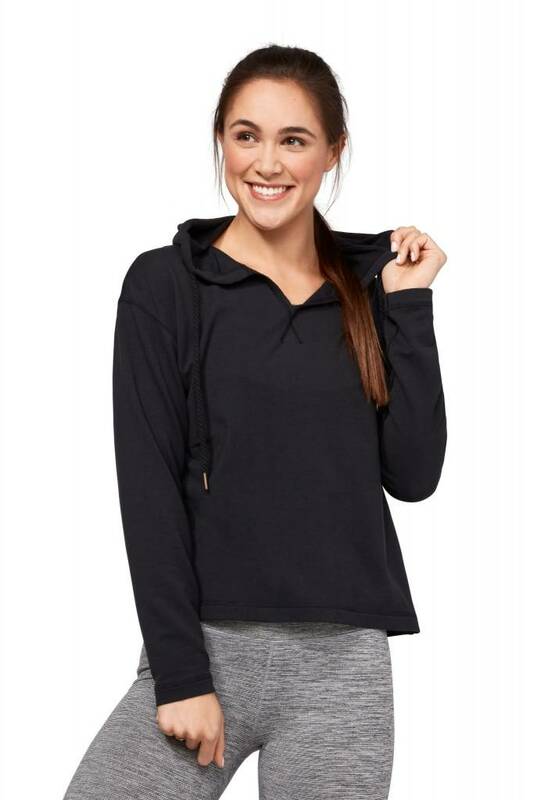 The sweater is made from a super soft cotton polyester blend that feels nice against the skin and will keep you warm.